I’m talking about back to school. It’s the time when the children no longer whine about not having anything to do. It’s also the time when the stress of trying to keep a house clean, run a freelance writing business and have those family road trips was making you crazy. I don’t know about you, but this was the first official summer with the twins since they attended Kindergarten last fall. The summers before this were no problem as I was a stay-at-home mom and formed my own work at home schedule with twins. But, for some reason, this summer was a gong show. So yea, July was not the greatest month for us. August is doing better but just slightly! Back to school for me is filled with great ideas for my freelance writing business. If you’re a stay-at-home mom and also a freelance writer, let’s look at how we can optimize the time when our little ones are off at school. One thing I realized once my twins started school is that I could sit at my computer from 9-3 without really getting up or working much. 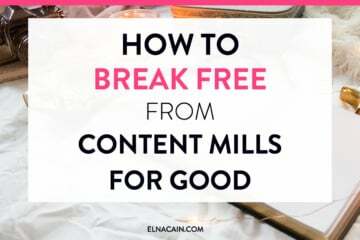 This was a new thing for me – being a full-time freelance writer – and I already was making a big mistake – having no set schedule. So, the first thing as a work at home mom is to find a schedule that works for you. What I like to do is do my house chores in the morning. This sets the tone for my day. Since I work in my home, I don’t want a cluttered office or house. It needs to be organized and clean. So I get that out of the way. I then work from 9:30-12pm and take a break. I have to get up, walk around and have lunch with my husband (since we also works at home). This is the time I continue with chores (empty the dishwasher, fold laundry, etc..) and may run some errands. It’s a good idea to take a mental break from working at home. But this leaves little time before I pick up my kids at 3pm. Sometimes I can squeeze in work from 2-3pm. Once the kids are home, it’s mom time. I stop working and focus on the twins and getting supper ready. Then when the kids go to sleep, I’m hustling again! So figure out your schedule when it’s back to school time! Once you have a schedule, you need a plan for the business tasks you will be doing every day. If you’re new to freelance writing, your daily tasks will be different from someone that’s doing this full-time (like me). The second part of your time at home is creating content to market your freelance writing business. This is in the form of samples. You need to have enough samples of your writing ability to convince prospects to hire you for their blog or newsletter. You can house your samples on Contently, on LinkedIn or on your blog (which I suggest since having a home base of all your writing and business is more converting). Okay. 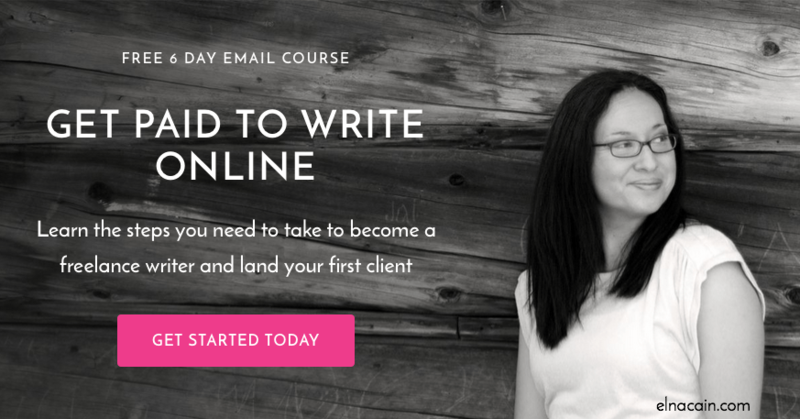 You’ve been freelance writing for over a year now and probably had clients in the past. So, what do you do to take your freelance writing business to the next level? The first thing is you need to start raising your rate. I know this can be scary and daunting, but that’s how you can make a living as a writer. I have a great video to help you (and make sure to subscribe to my YouTube channel for more videos). The next thing is to audit your writer website. You need to look at your portfolio and only showcase your best writing. Segment your portfolio with the different topics you enjoy writing about or just make sure the best samples are on top. Every year I also liked to change up my website copy and look of my site. 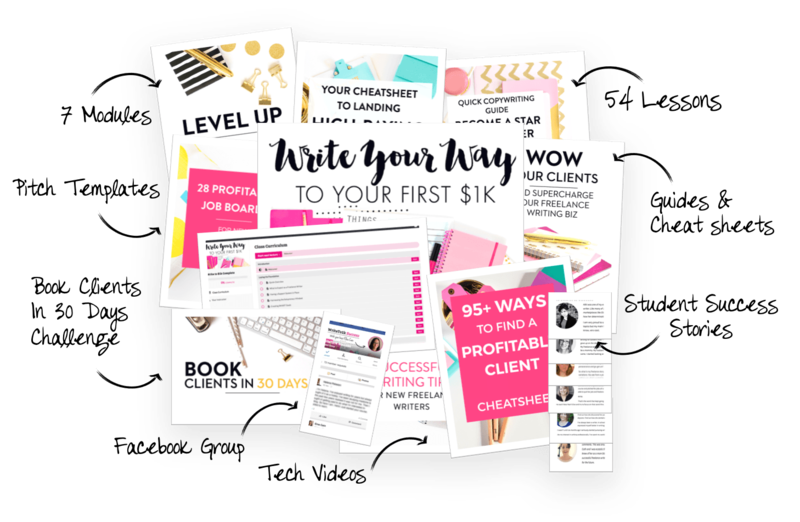 While this isn’t necessary, it helped me grow as a freelance writer and figure out my ideal client through that process. Finally, I would lean on your established clients and ask for referral business. My two top methods of landing freelance writing jobs as a seasoned writer are through referrals from previous clients and from other freelance writers and through my website. This may be hard for many. For me, I focus on my personal projects on the weekends and save freelance writing for the week. For new writers, this doesn’t mean stop work completely; it just means don’t pitch or do outreach on the weekends. Instead, use this time as learning time or educational time on learning how to be a freelance writer. You can also learn more about your niche or a service like copywriting. Personally, the best places to find freelance writing tips are on Pinterest. Make sure to follow me! Just type in freelance writing into the search bar and see what pins interests you! If you can fit learning into your schedule then you won’t feel like doing that is a waste of time. 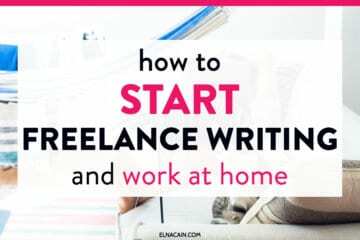 It is part of your plan to be the better freelance writer! During the weekend is mom time, right? Grocery shopping, meal planning, family time and more! For our family, every Saturday is family day. We do an activity like go to the lake, go bowling, bike ride or play mini-golf! The point is, to spend quality time as a family since you work so hard during the week. Summer is only two months where I live. It’s only hot for those two months and then it cools down and before you know it, there’s snow for 8 months out of the year! Balancing it as a work at home mom means fitting work during the summer and planning your work when your children go back to school. I hope these tips helped you and let me know in the comments your plan for back to school! I want to hear them! I LOVE the relaxed days of summer, but I totally welcome the consistency that back-to-school brings! One thing that I like to add to my fall to-do list is self-improvement whether it be investing in a course, joining a mastermind group, or one-on-one coaching. Late August, September, and October are the perfect time to boost your skills before the craziness of the holidays comes around. Thanks so much for coming over to my blog! You’re an amazing writer and love your blog 🙂 Yes, summer is closing soon…and I’m a tad excited about the structure I will have for my days and of course, the undistracted time I will have to work! I’m so thankful for this post and for your site in general! I, too, am a stay-at-home mom with three kiddos (9, 7, and 3). I love to write and keep a personal blog about our family adventures, but have recently decided to try to make some money off of my skills (piano lessons aren’t cheap! ha!). Your advice has been amazing – practical and actionable! And with school ahead, this post resonates particularly for me. 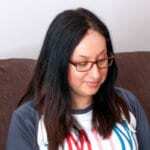 So here’s a question from a newbie – all of my “writing samples” online (i.e. my personal blog) are about my kids and my personal life. Is any of that worth using as part of my portfolio, or is it wiser to create new content on a separate forum (maybe a new blog) that doesn’t involve copious photos of my offspring? Thanks for all your help in this! Thank you so much for visiting my blog! I’m so happy you want to do some freelance writing as a work at home mom! What a great question, but I have a feeling you know the answer. It’s unfortunate but online business owners have a hard time with transferable skills. So if they see you write on your personal blog, they don’t have faith you can write in other areas! I know…but business is always on marketers’ minds. What I suggest is either have a HIRE ME page on your personal blog and then link to your freelance writing samples (from Medium or LinkedIn for example) and start there! If that doesn’t drum up business, then you may have to consider a new blog that focusses entirely on your freelance writing service. I know that’s what I did and as soon as I did that I upped my value as a writer!